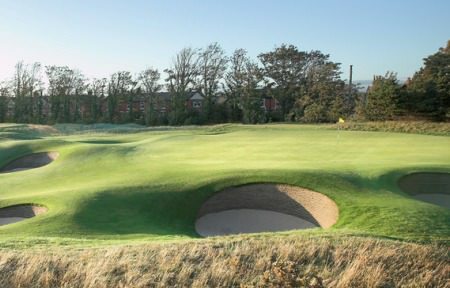 Rathsallagh’s Jack Hume came up just short despite a brilliant final day in the Lytham Trophy. Picture Jenny Matthews/www.golffile.ieRathsallagh’s Jack Hume fell to Finland’s Albert Eckhardt at the final hole of a three-hole aggregate play-off for the Lytham Trophy at Royal Lytham & St Annes. The talented 19-year old, winner of all four Boys Provincial titles in 2010, was seven strokes behind leader Nathan Kimsey at halfway but fired three birdies and three bogeys in a third round 70 to scorch up the leaderboard. In the afternoon he was even more impressive, carding a best-of-the-day, two under 68 to set the clubhouse target at seven over par 287. It was one of just two sub-round round carded on the final day - Eckhardt shot 69 in the morning - and it was a thing of pure beauty. Out in 32 after birdies at the third and par-five seventh, he made a birdie two at the 196-yard 12th before dropping his only shot of the afternoon at the 15th. Eckhardt was seven over for the tournament with three holes to play but bravely parred his way home for a 73 to force a three-hole aggregate play-off. The first two holes were shared in par before Eckhardt clinched a one-shot win when Hume lipped out for par at the last. Eckhardt, the world No 430, became the first Finn to win one of the most presitgious titles in European amateur golf. Hume was 700th in the World Amateur Golf Ranking but a huge leap of 327 place to world No 373. France’s Julien Marot and Kristian Johannessen of Norway finished in third place, four shots out of the playoff while Mourne’s Reeve Whitson gave his hopes of a Walker Cup cap a boost when he finished fifth after rounds of 75, 72, 72 and 73. 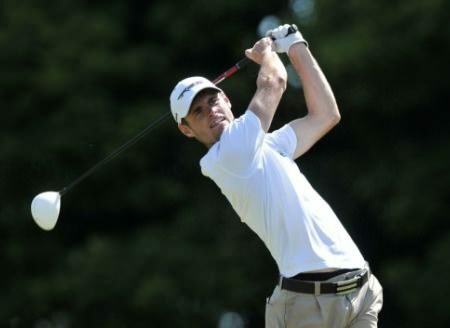 It was a good week all round for the Irish contingent and while Lucan’s Richard O’Donovan will rue his third round 80, he rallied to close with a 72 and claim 13th spot. Lucan’s Richard O’Donovan is just three shots off the lead with 36 holes to play in the Lytham Trophy.Lucan’s Richie O’Donovan carded one of the rounds of the day to go into the final 36-holes of the Lytham Trophy just three shots behind Woodhall Spa’s Nathan Kimsey. Jack Hume is in contention in the Welsh Amateur Open. 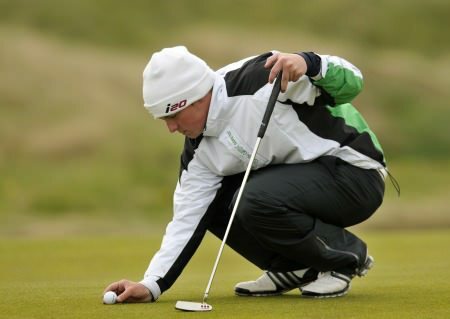 Pictured at Royal Dublin by Pat Cashman. Rathsallagh’s Jack Hume has a chance to make up for two successive disappointments when he goes into the final two rounds of the Welsh Amateur Open just a shot off the lead at Royal Portcawl.